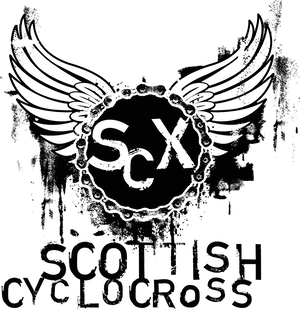 The 2011 Scottish Cycling Cyclocross Championships will be held on Sunday 4th December at the Auchentoshan Centre, Clydebank in an event hosted by Glasgow United Cycling Club. You MUST pre-enter. The closing date for this event is 20th November 2011. Entry details, electonic entry and paper entry form can be found here. So if you have a Silver Membership you are eligible? Or do you have to fork out an extra £32 to get a the "Full" licence just for one race? If so - did I miss it in the Blue Book? I've raced the Scottish Champs about 3 or 4 times in the past on a Bronze licence without it being questioned. Have things tightened up? Am I also right in thinking that there won't be a race for (probably the majority of?) riders who don't have a Silver membership? The requirement to hold a full racing licence was ignored / overlooked until the champs in 2009 when we were informed that this rule would be enforced. The organisers of the 2009 champs put on a support race for non-licence holders, but it attracted less than 30 riders (including me). Rules eh?. Where would cycling be without them? most sports are governed by rules. or is it just the ones that don't suit you that you moan about? Happy that there are rules, but they aren't clear! Blue Book says you need a Silver Licence (which costs £36). It DOESN'T say you need a FUll Race licence (Which costs another £32). If you look at the BC Racing Licence Entitlements, then it says that a Provisional Racing Licence is acceptable for Category B races (which is what Aucehentoshan is classified as on the BC site). So is there a rule that says you need to fork out the extra £32? Have looked at the Blue Book again and sorry to quote rules, but this seems fairly clear. Trials and Team Time Trials are required to have a full BC/SC or UCI racing licence. My understanding of this, plus the ones quoted at 21:14, mean that you have to hold a valid gold or silver membership and a full race licence. Some interesting comments here. Let's not forget every sport no matter the level has it's rules and regulations and why should cycle sport be any different? For certain events or events in a series, governing bodies can insist on specific sets of regulations. You have this with all Scottish Championships and if you ride the Super 6 series for example, there are regulations governing this. On the other hand if you are so unhappy you can try and get the rule changed, although not in time for this years championship given the closeness of the event. Get your club (I am assuming you are in one) to write or e-mail Scottish Cycling explaining why you think the rule regarding the requirement for a race licence for the cross championship is wrong and that it needs changed. This will then be passed to the Technical Commission who can have a look at it and what it will mean for the rest of the sport in Scotland (don't see cross as being that different as cross events are still held under SC Tech Regs). If they agree to a change then a change can be made and all foks who need to know will be informed. Easy and it is why this change was made to allow tech regs to be changed/updated quickly. Incidentally from June each year all race licences are half price - not that helps! I'm against any rule that discourages people from taking part in an event. The license rules seem to fall into that category. Not everyone wants to pay for a full license or join a club for perhaps a few days racing a year (one day in the case of the champs). People who have been in the sport for a long time often fail to realise how confusing and intimidating this is to newbies. An idea would be to leave the race 'open' but you only qualify for the champs if you hold a racing licence. I personally only race cross so don't see the worth of a full licence for the year. I support the whole series when possible so it's a shame that some of us will need to sit out what is my local race due to this rule. However, rules are rules I guess, but i would support a non-champs all-comers race or being allowed to trundle around at the back. I started this thread having already sent off my entry for the champs! I spoke to BC today and yes the upgrade cost was less than I had expected - "only" £21 in my case. Just to let others know, BC say to allow 10 days to get a new licence through, but they will issue a licence by email that is valid for 10 days so there is enough time for those keen/rich enough to compete. I have tried to enter my two children for the U12 race online and it will only accept the entry if they were born in 1999,(ie won't accept if born 2000 or earlier) is this a glitch? Both have full race licences. Will contact Scottish Cycling and ask them to investigate. System has been amended - can you give it another go and let us know how you get on?